Arguably, the most incredible images are captured from the air. From Iceland to Australia’s national parks, it seems some of the very best snaps come from a drone, helicopter or aircraft. German photographer Bernhard Lang‘s series Aeriel Views showcases some of the world’s best scenery from above. Lang has been working on the project since 2010, taking most of his photos from small planes and helicopters. The first images of the series were shot in Bavaria near Munich, Lang’s home town. 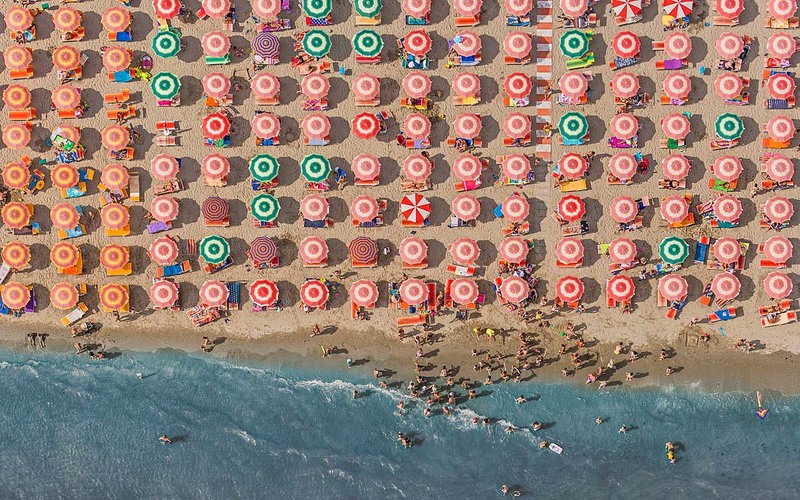 Since then, he’s photographed shorelines, fields and cities all over the world from above. Lang says he enjoys shooting from the air because it shows the world from an unusual perspective. He likes to look for patterns and structures that look more like abstract paintings from above, which is why he was drawn to Tuscany’s coastlines. To see more of Lang’s work, visit his website or follow him on Instagram and Facebook.